If you were to ask me what brought me JOY, the immediate answers that come to mind are fun outings with my family, reading a this-is-so-great-I-can't-put-it-down novel in the backyard, baking something delicious, coffee dates with girlfriends...you get the picture. As I sat folding what felt like my 100th basket of laundry this week, I decided that a definite perspective shift was needed. While these tasks may not be riveting nor fabulous, they are important. And my attitude plays a great role in changing how I view these items of my ever-growing to-do list. Joy is not a fleeting feeling. It's not something that should be dictated by my present tasks or day-to-day surroundings. 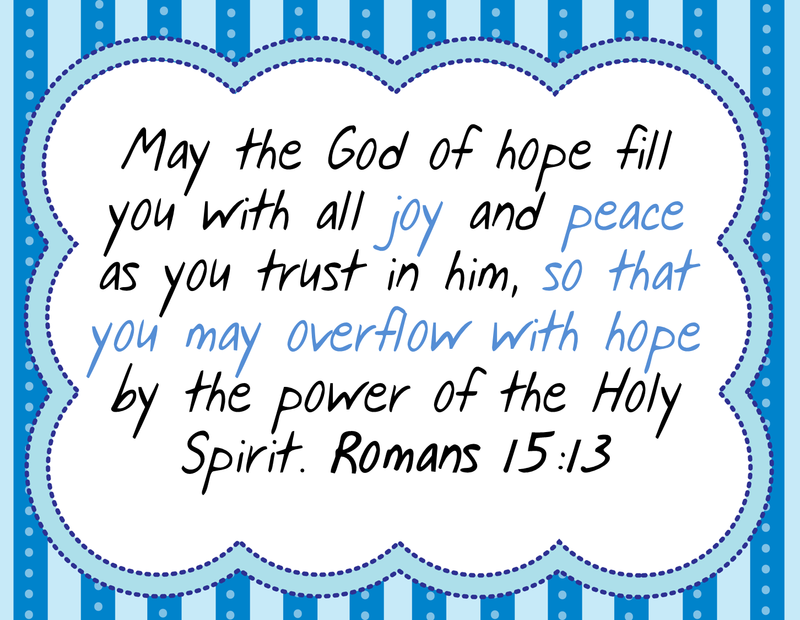 It's a contentment that comes from knowing that God has placed me in my current situation. On purpose. For a reason. And one that must be made again and again. A choice to seek after God with my whole heart, even as I'm up to my elbows in dish soap, scrubbing at bits of scrambled egg I knew I should have rinsed sooner. A choice to see the good in everyday, even when I have spit-up in my freshly-curled hair. A choice to live with gusto, even when I'm running on little sleep. 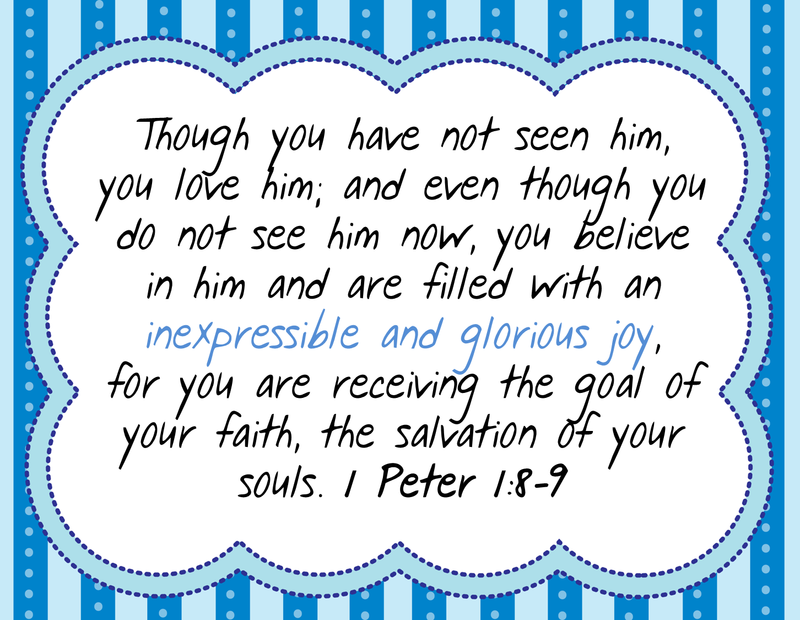 Jesus Christ is our ultimate source of joy. 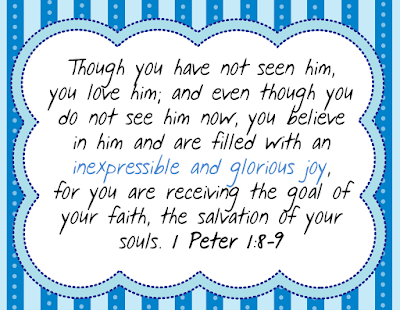 Who wouldn't want inexpressible and glorious joy? Jesus is not only the source - He's also our role model. 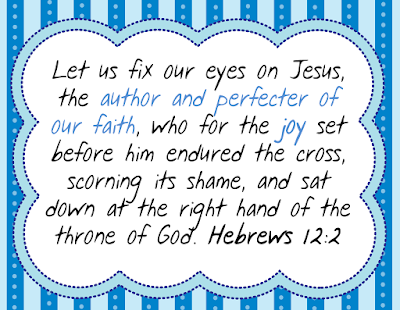 Jesus wasn't filled with the emotion joy when approaching the cross because he was having such a wonderful time. On the contrary, he knew he would experience excruciating pain and anguish caused by separation from God. 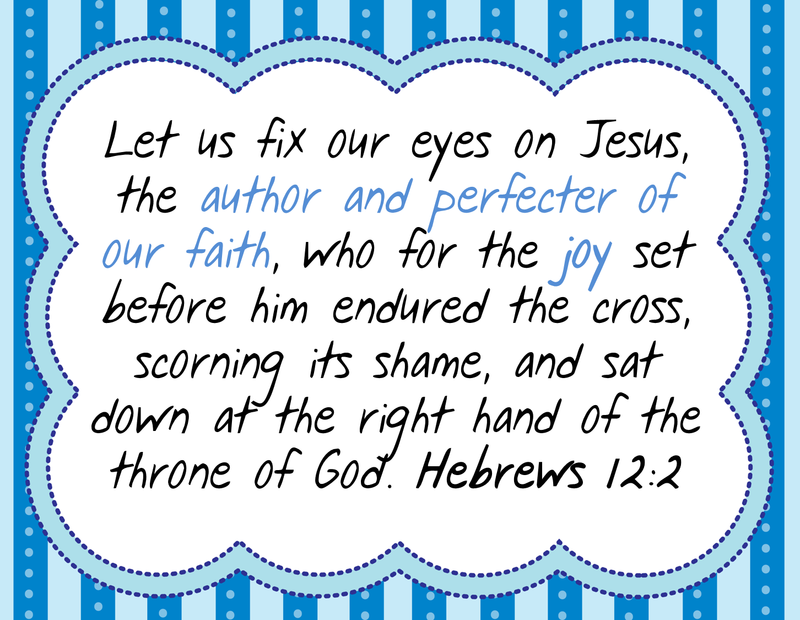 He CHOSE to be joyful because of what was to come: redemption and restoration. 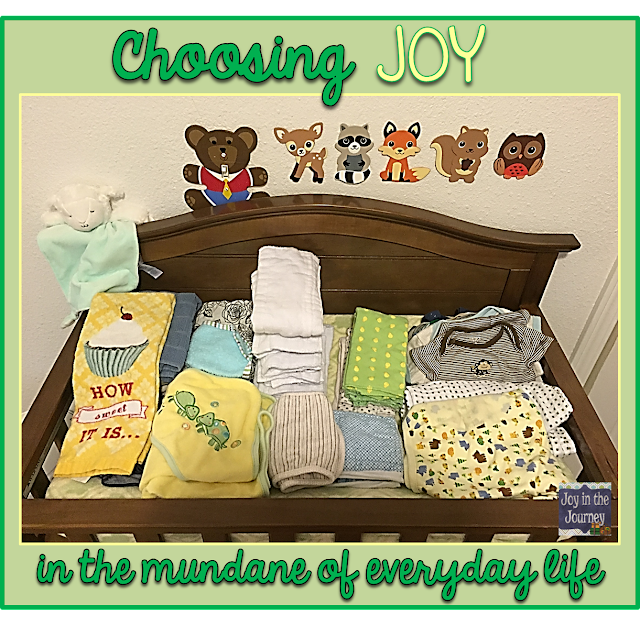 I pray that you would join me on this daily quest to CHOOSE JOY. 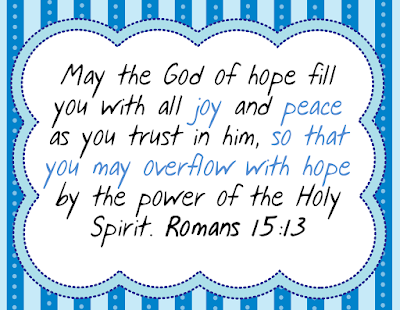 We were called to live lives of JOY, that we might experience lasting peace and hope in a fallen world.